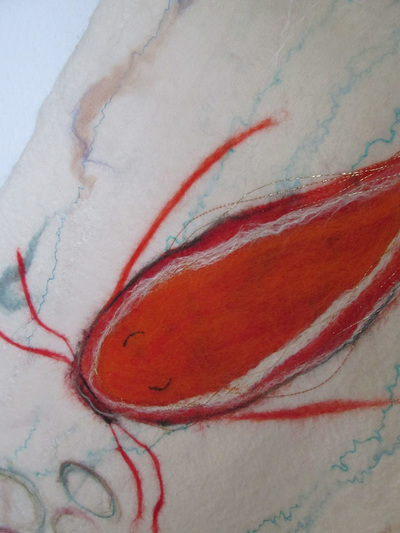 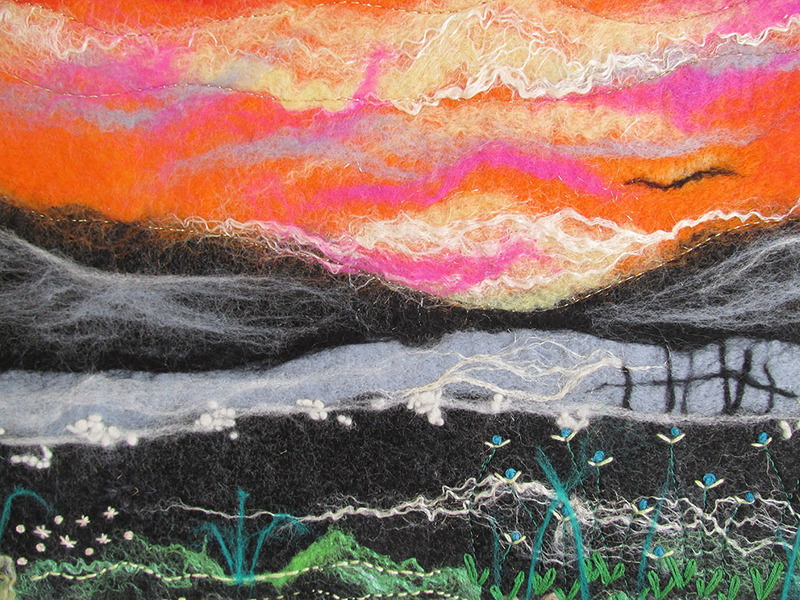 Linda's love for felt making started on a design course at the local college; her final project based, on stones, quickly developed into a 1.5 metre wall hanging! 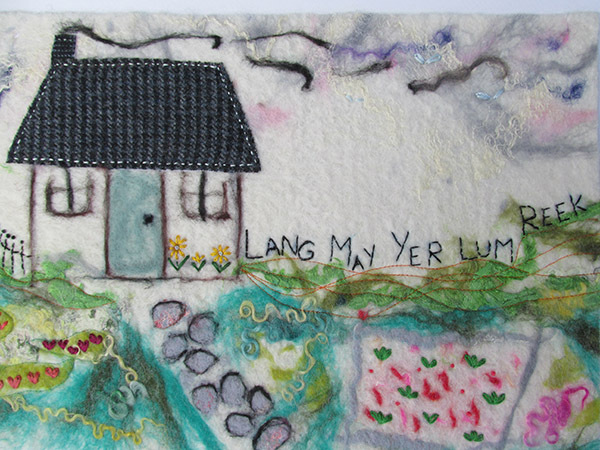 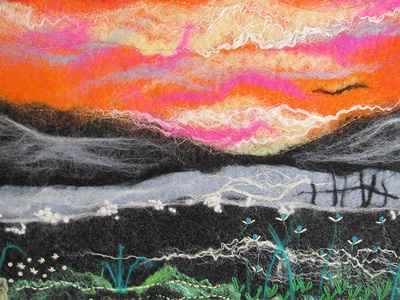 Linda develops her fibre art based on photographs she takes whilst out and about our lovely county and interprets these into quirky, colourful pieces of felt. 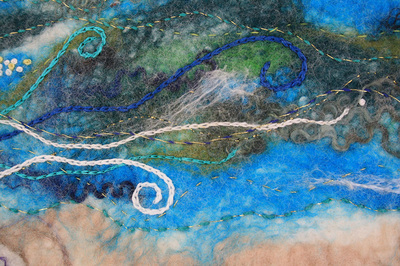 Linda feels it was a natural progression to start making ladies' accessories from Nuno felting, where a natural material such as cotton or silk can be wet felted together to give a beautiful unique finish.